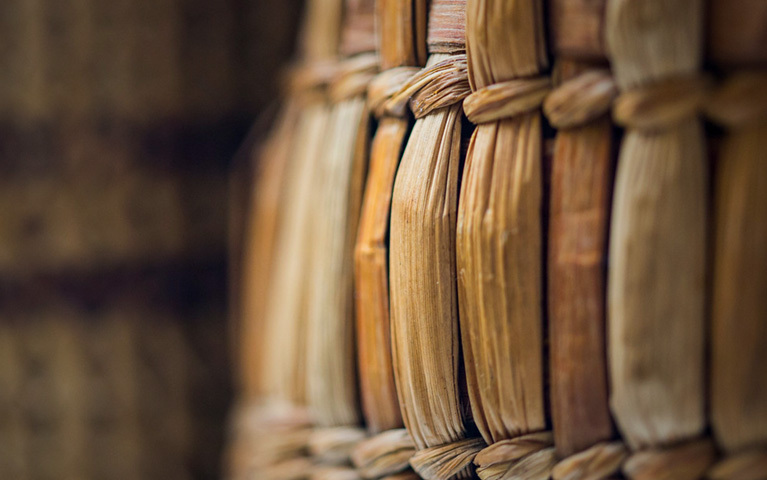 Several of our most popular parking lots are self-serve, allowing you to skip the gatehouse and pay on the spot. Some have pay machines where you enter your stall or license plate number, while at others you will be prompted to print out a permit and place it on your car. All of these machines take Visa and MasterCard as well as dollar coins or quarters. At the E01 lot, you must pay with a credit card at the gate arm entry. Follow the directions for the pay machine or gate arm at your lot. If you are required to display a parking permit, please put it on your dashboard and make sure it is visible from outside of the vehicle. Refunds are not available, and you may only park in the designated lot. The self-serve lots and rates listed here do not apply during football games or other large campus events. 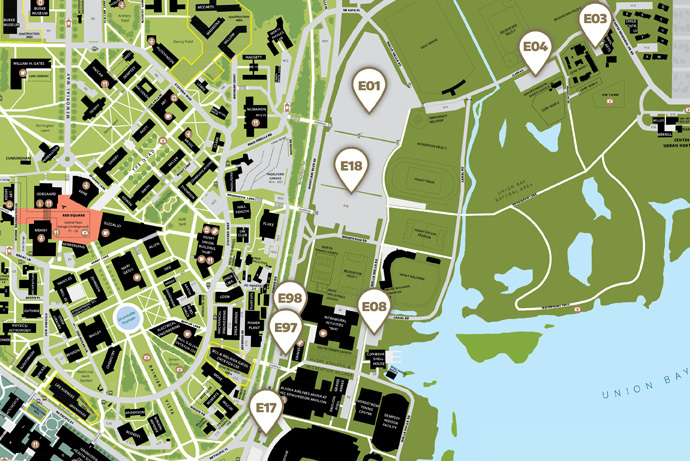 E97, E98 and E08 are convenient to the Intramural Activities Center (IMA) and other athletic facilities. 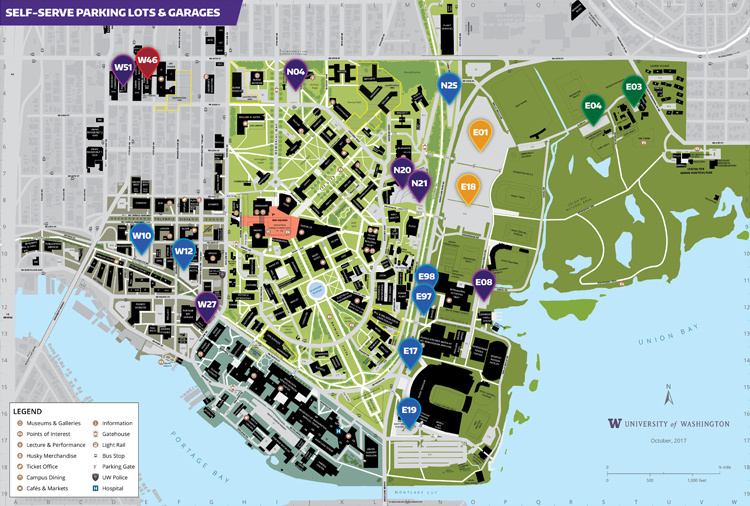 E17 and E19 are next to Husky Stadium. E01 and E18 are large lots near the recreation fields. E03 and E04 are on Clark Road in the northeastern corner of campus. The E01 lot has several entrances, with the easiest being from the north off Montlake Boulevard at Walla Walla Road. There are also entrances on Clark Road by the golf driving range and from the south via E18 or Walla Walla Road by the track. The following rates do not apply during football games or other large campus events. N04 is a smaller lot off Stevens Way near Paccar Hall. N20 and N21 are part of the large Padelford parking garage off Pend Oreille Road. N25 is a lot on the west side of Montlake Boulevard, near UW Surplus. 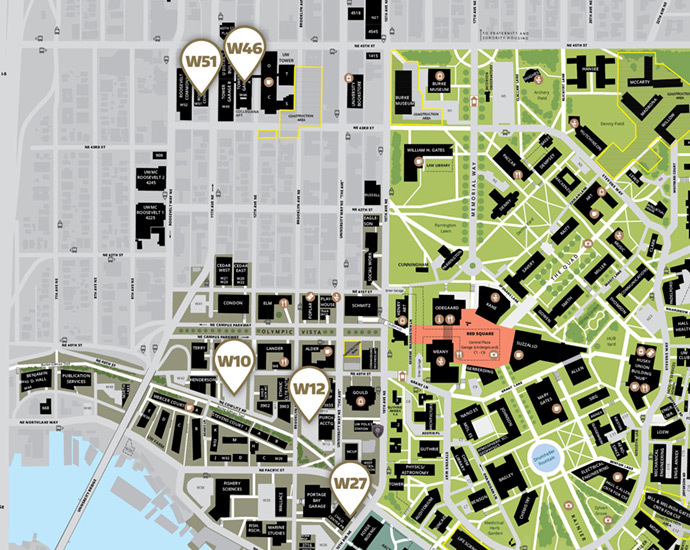 W10 and W12 are the closest self-serve lots to the West campus dorms. W27 is a garage on 15th Ave., just south of Pacific. W46 is part of the UW Tower garage on 12th Ave between 43rd and 45th streets. W51 is part of the Roosevelt Commons garage off of 11th Ave between 43rd and 45th streets. lot N01 begin March 1.